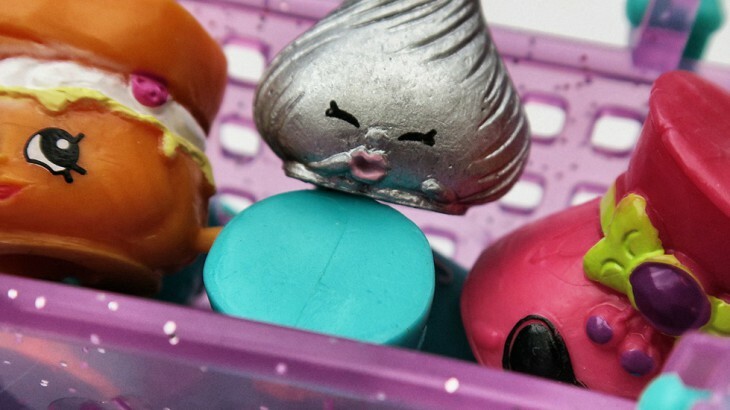 Get ready for another super-cute shopping spree with Shopkins Series 3! 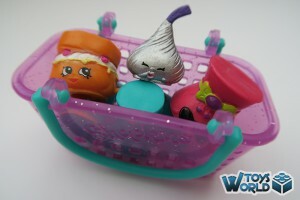 This Shopkins double pack contains two characters, a new purple glittery shopping basket and Shopkins List. 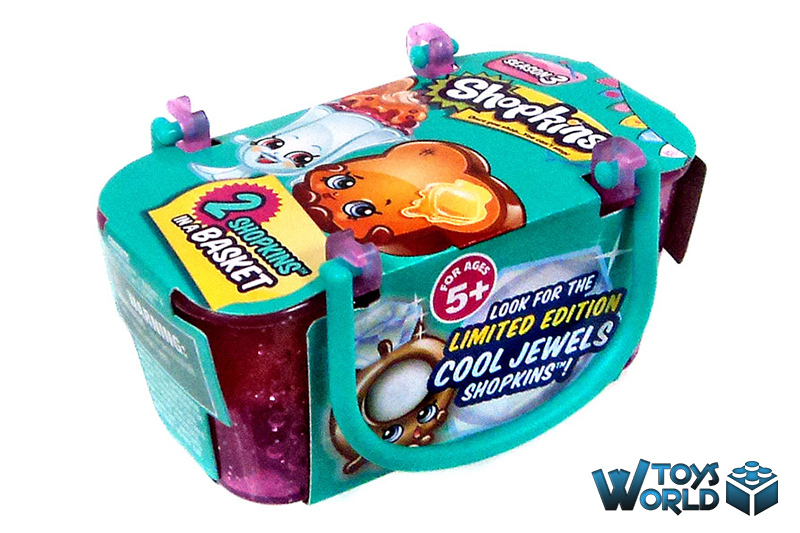 When we saw the first season of Shopkins back in 2014, we knew the range was going to be a big hit with the kids. The collectability, range and imagination that has gone into each and every character is commendable, and it’s no surprise that the third season is now hitting the shelves. At the time of writing this review, we literally just got our hands on the product on its day of release here in the UK. We’re kicking off with the 2-Pack, and, as an added bonus, we also have 4 sample bags – each containing 1 Shopkin from the Season 3 range. 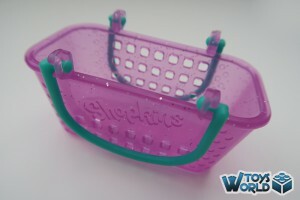 The first thing to notice is the Shopping basket has had a design overhaul, with a glittery purple exterior, and thin green handles. The basket is now longer, but slightly shorter in width. 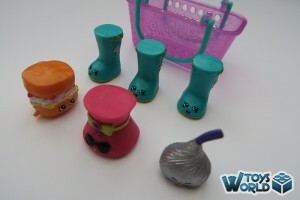 As with the previous Shopkins 2-Packs, there are 2 yellow blind bags inside, each containing a random shopkin from Season 3. In our draw, we got Sconnie (International Food; Common) and Shady (Hats; Common). As for the sample bags – which you can pick up from stockists giving them away as part of the Season 3 promotional launch – we got 4 in total. 3 of the characters were the same; Jennifer Rayne (Shoes; Rare), and the other was the shiny Choc Kiss (Sweet Treats; Rare). It’s clear from just the few bags we had that there is only a small selection of the 140+ available in this season in the promotional bags. That said, all 4 of the ones we got were Rare, so we’re not complaining! + Click Here to buy the ‘Shopkins Season 3: 2-Pack‘ set from The Entertainer for £2.50! + <a href="https://plus.google generic cialis 50.com/+ToysWorldReviewsDotCom”>Follow ToysWorld on Google+! Series Collectables Collectables, Moose Toys, Series Collectables, Shopkins, Shopkins Season 3. permalink. Hi guys! Fantastic review! Amelia is adorable and it’s clear she is enjoying the video reviews! Thrilled that you like the reviews, and will certainly pass on the feedback to Amelia. We got ours from The Entertainer, who just got their stock yesterday. You may also have some luck with Argos as I believe they get their shipments this week, too.